Joey started playing the bass guitar when he was in the 6th grade. His mom was taking lessons and thought it would be great for Joey to take lessons too. He became drawn to it and in the 7th grade he entered a talent show. Here is where he met the lead singer of his current band, Rusty Blue. In 8th grade the other two players joined the band and they have been playing together ever since. There have been big milestones for Rusty Blue. They are self-produced by Joey himself, and they self-released an album, and they won a Battle of the Bands contest. Very impressive for a local band. They have toured in Delaware, Maryland, Boston and New York! With the Rusty Blue band being so busy, we asked “How do you find time with school work, music, and touring?” Joey said he works on his school work until 3 pm and does his music in the evenings. Joey plans to attend Drexel in the fall and wants to pursue a career in the music industry. All the band members plan to stay in the area so they can all continue to play together. 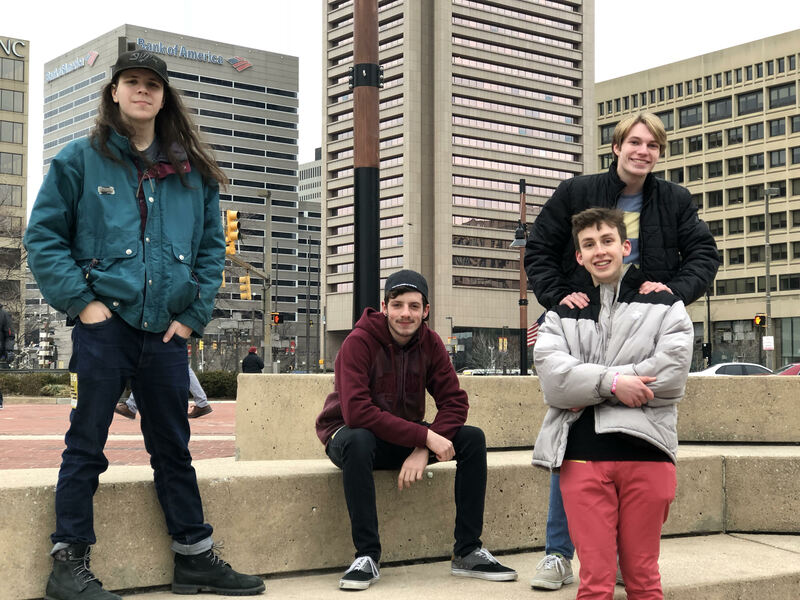 * Rusty Blue is an Alternative/Hard Rock band based in Wilmington, Delaware. The band won, Out & About Magazine’s Musikarmaggedon Battle of the Bands at the Baby Grand in Wilmington, Delaware.